I gave it all that I had, and it’s gratifying that people received it so well. 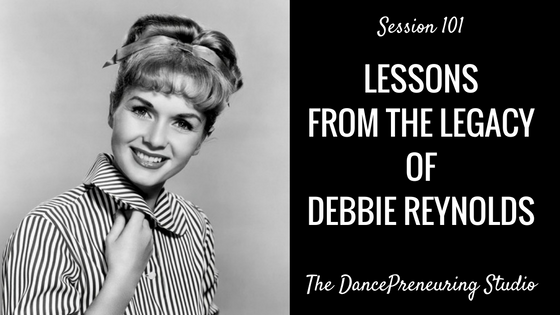 Although this episode is short and sweet, the legacy of Debbie Reynolds is long lasting. She contributed much to the dance world by creating a facility that has been used by top names in the dance and entertainment industry. Created a place for dancers to create. The studio has longevity as it’s been going strong since 1979. The studio attracts the top names in the dance and entertainment field. Community is present within and outside the dance studio. The studio fosters appreciation for the art of dance. Question: What am I doing to create a legacy? Not only financially, but more importantly my impact and serving others?